Full-time motorhome tourer and regular blogger Donna Garner has written an article on Spain and the Algarve in the June 2013 issue of Practical Motorhome magazine. If you're a friend of our Facebook page, you may have noticed that she pops up most online. Her Facebook page Monty the Motorhome is a lively one, full of photos of Monty in exotic locations. She recently asked us for a knitting pattern to knit a motorhome just like Monty and I found one from Sirdar yarn company online. 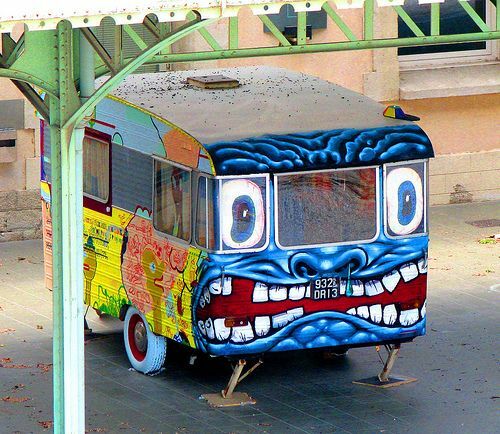 It was a Postman Pat-style van pattern, which her friend adapted. The resulting knitted Mini Monty now travels with them everywhere, being pictured in gorgeous sunspots in Europe! It even has its own Monty the Motorhome picture album on Facebook: Mini Monty photo album. Not all of their travels have been easy. Donna recently had us on the edge of our motorhome seats with some photos of a mountain road in Faro... luckily they tucked in behind a coach for the trip, because there certainly wasn't room for another vehicle to pass between them and the sheer drop! Just recently, Monty Motorhome's videos on French aires have popped up on You Tube. The best thing about Donna's blogs? They just make you want to get out there and join in the fun! Another of our favourite motorhome full-timers are Julie and Jason Buckley, who write amusing blogs about their adventures as they travel. Now they've published a book about their motorhome tour of Morocco. A monkey ate my breakfast: motorhome adventures in Morocco is a humorous tale of a couple’s tour across the country. Having quit their jobs, Julie and Jason Buckley set off in their ageing Hymer B544 to tour Europe for a year - but somehow arrived in Morocco. Accompanied by their pampered pooch Charlie, they had little idea of what to expect. Information was scarce about campsites, the state of the roads or where they could buy essentials such as dog food and wine. To follow the adventure from the comfort of home the guide is available from Amazon as both an ebook and paperback. set off on a full-time touring adventure in 2008. They blogged as Europe by Camper and we published their story 'Baltics or Bust' in Practical Motorhome June 2012.
they visited. 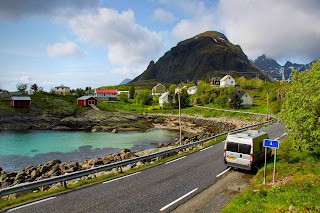 So, if you want to know how to visit Norway without taking out a mortgage, or - well - practically anything about anywhere in Europe, check out their blog! Countries visited France, Italy, Austria, Germany, Luxembourg, Belgium & Netherlands. "We picked up a just 3-year old Suntor, which was immaculate and had covered just 6,000 miles from new and set off around Europe having done very little, if any, research along the way. We travelled down through France and around Italy and ventured up through Austria and Germany. Our timing wasn't great, since the further north we got the colder it became and we were unable to pass over into Czech because of the lack of winter tyres. "We then returned and attempted to get back to some kind of normality, we both got jobs and the camper was sold for practically what we had paid for it despite adding 10,000 miles and an MOT and Service looming. We sat and reviewed our previous trip what we would do again and mourned the fact that it was likely to be another decade before we were able to complete such a tour again." BUT OFF THEY WENT AGAIN! How wrong could they be? The very next September and October they visited 10 countries in 21 days! They toured France, Belgium, Germany, Czech Republic, Slovekia, Hungary, Slovenia, Croatia, Italy & Austria. "Holidays would never be the same after our tour in 2008, as we flicked through holiday brochures... But then an opportunity presented itself to do it all again this time in a much larger CI Carioca 694 motorhome. We planned how we were going to visit 10 countries in 21 days, covering over 3,500 miles and travelling as far east as Budapest... we had the time of our life." They went off to Europe again overwintering from 2011-12, visiting 21 countries. Countries visited: France, Belgium, Netherlands, Germany, Denmark, Sweden, Norway, Finland, Russia, Estonia, Latvia, Lithuania, Poland, Slovakia, Hungary, Romania, Bulgaria, Greece, Italy, Spain and Morocco. Adam and Sophie: "Our latest trip took in 21 countries in total and we managed to cover just over 23,000 miles. We thoroughly enjoyed the 251 sunny days out of 334 days away. Are you officially jealous yet? How can such a young couple afford to do this? Read their Europe by Camper blogs - all will be revealed! Catch 'em young, that's the message we like here. Many of us who enjoy the outdoors learned from our cash-strapped parents, who took us on great family holidays in tents and rusty campervans and little old caravans. As children, of course, we just saw a play tent or a wendy house on wheels - and best of all, our parents and dog were joining in the fun! These days young families are just as cash-strapped and often start their outdoor adventures in a tent, like Alice Abel. In her blog, Alice says: "This year we’re planning several camping trips with our 3-year and 18-month old boys, essentially because we couldn’t think of a more fun holiday to have with them. We know they (and we) are going to love the adventure, the fresh air and the unrushed time together." 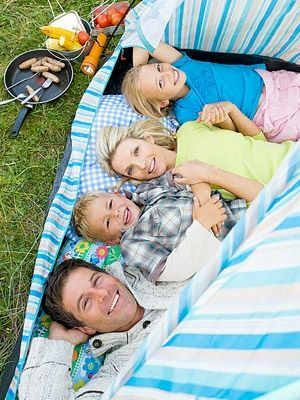 She then gets practical, providing tips and lists on what to do with kids on a camping trip. She comes up with some great advice to help make the holiday lots of fun and enjoy campfires. It's a great chance to teach your kids life skills, including how to avoid new dangers that they won't have met in their lives before. Most of all I like her final tip - pre-plan your trip - but then when you get there, just RELAX and enjoy yourself! We love putting great photos on our Practical Motorhome Pinterest boards. Each photo links to a story, a blog or something fascinating - it's the start of a whole new online journey! We have photos of motorhomes in adventurous and beautiful locations, quirky weird and wonderful motorhomes, camping with kids, VW campervans, fancy interiors, glamping, dogs who love camping and more. 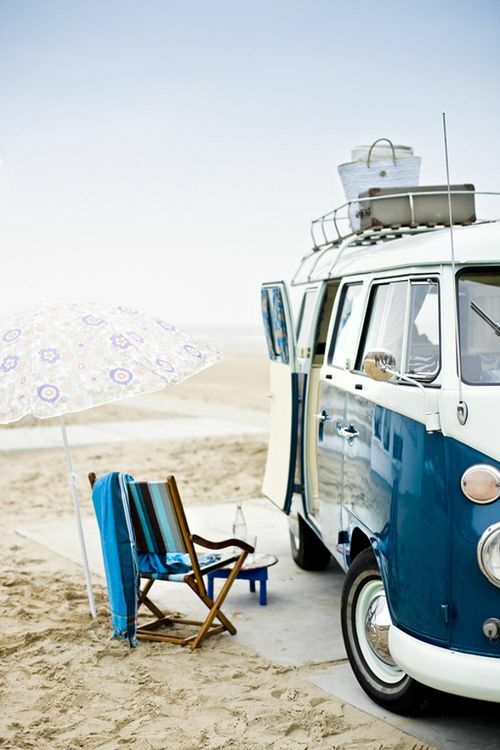 VW Campervan - everybody loves a VW Bus! Buy a secondhand motorhome and live the dream! It's a fun, quick snapshot of our world - and a new way to revel in this wonderful freewheeling lifestyle. What are your favourite blogs on motorhomes and camping?